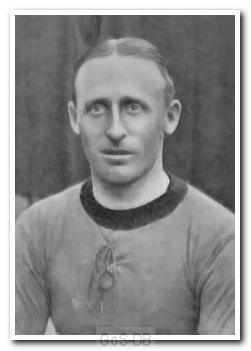 Bull was a half-back who played for Argyle just twice in the first season after World War One. Born in Newport Pagnell, he had played for the Buckinghamshire County side and was serving in the Plymouth area with the Army before joining Argyle. The club handbook stated that he "did such good work in the Wearde Camp (Saltash) team when in the Leicestershire Regiment". At the end of the 1919-20 campaign he moved on to Crewe Alexandra.